Campaign > Ad Group > Keyword = Attractions > Universal Studios > Hotel Near Universal Studios, etc. Within the list of 10 (or more) keywords that you choose, are there any outliers? Are there any that are performing better than the rest? If there are, then you should put them into single keyword ad groups (SKAGs). Having control of your campaigns is one of the most significant components that will determine its success. This is why SKAG's are one of my favorite structures to use. 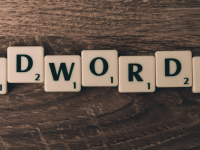 If you have a keyword that you believe will do well, then you should put it into its ad group. This way, you can have the highest level of control over the customer journey. Only the most relevant of customers will get chosen for the term that you have listed. Make sure that you’re bidding on your name! You better believe that the OTA’s and other competitors are bidding on it already. If someone already knows your name, then you need to make it as easy as possible for them to make a reservation. The less friction, the better. There’s also another bonus. If you have a trademark, you have added protection from any other competitor trying to bid on your key terms. Once you can get a customer over to your site that’s where the real magic happens. This is when you can start to use remarketing. I choose to create audiences in Google Analytics and then use them in Google AdWords; (make note that you have to link the two together and there may or may not be extra developer work needed). Users who completed a micro/macro goal on your site, i.e., checked out a special, filled out a form, etc.